This Standard contains health effects requirements for drinking water treatment chemicals that are directly added to water and are intended to be present in the finished water. This Standard also contains health effects requirements for other chemical products that are directly added to water but are not intended to be present in the finished water. Chemicals covered by this Standard include, but are not limited to, coagulation and flocculation chemicals, softening, precipitation, sequestering, pH adjustment, and corrosion/scale control chemicals, disinfection and oxidation chemicals, miscellaneous treatment chemicals, and miscellaneous water supply chemicals. Contaminants produced as by-products through reaction of the treatment chemical with a constituent of the treated water are not covered by this Standard. 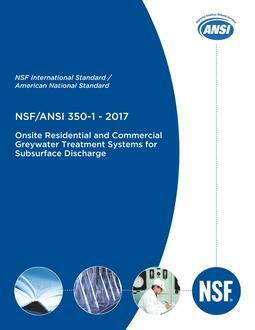 Acknowledging the fact that indigenous microorganisms may be present in drinking water, products resulting in the intentional introduction of microorganisms for the treatment of drinking water are excluded from the scope of the Standard.